Man wants happiness by nature. I want happiness. So I go out and buy a car. The car gives me a taste of happiness but does not fully satisfy the desire. So my desire becomes a question: "What will make me truly and fully happy?" Or perhaps, after I have bought the car and am still enjoying the taste of partial happiness that it gives me, I get into an accident and wreck my beautiful new possession. My simple desire finds itself full of questions: "Why was I not able to hold onto that thing and the satisfaction it gave me? Why do I lose things? Why is life so fragile, and is there something that won't let me down?" The more we take our own selves and our actions seriously, the more we perceive the mysteriousness and also the urgency of these questions, the fact that we cannot really avoid them', they are necessarily at the root of everything we do. This is because it is the nature of the human being to expect something, to look for fulfillment in everything he does. And where is the limit to this desire to be fulfilled? There is no limit. It is unlimited. Every achievement, every possession opens up on a further possibility, a depth that remains to be explored, a sense of incompleteness, a yearning for more. We are like hikers in the mountains (an analogy Giussani is fond of): we see a peak and we climb to the top. When we arrive there, we have a new view, and in the distance we see a higher peak promising a still greater vista. In the novel The Second Coming by Walker Percy, the character of Allie--a mentally ill woman living alone in a greenhouse--expresses the mysterious depths of human desire through her difficulties in figuring out what to do at four o'clock in the afternoon: "If time is to be filled or spent by working, sleeping, eating, what do you do when you finish and there is time left over?" Of this vast solitude? And what am I? There are a couple of points about this striking poetic excerpt that are worth mentioning as illustrative of central themes in Giussani. The first point is this: note that the shepherd's questions are so poignantly expressed "from the heart" (Musing, I say within me). They are "personal" questions we might say; that is, they are questions that seem deeply important to the shepherd's own life, that emerge from the shepherd's solitude as he watches the flocks by night and gazes at the moon. And yet, the questions themselves are really "philosophical" questions: "metaphysical" questions which ask about the relationship of the universe to its mysterious Source, and "anthropological" questions about the nature of the world, of man, of the self. Let us note these things only to emphasize that Giussani's evaluation of the dynamic of the human heart is not exclusively concerned with the pursuit of external objects and the way in which these objects lead "beyond" themselves the acting person who engages them. Giussani stresses that the need for truth is inscribed on the human heart; the need to see the meaning of things is fundamental to man. Hence the "objectivity" required for addressing philosophical and scientific questions does not imply that these questions are detached from the "heart" of the person who deals with them. When the scientist scans that infinite, calm sky and that vast solitude with his telescope, he must record what he sees, not what he wishes he would have seen. In this sense, he must be "objective," and his questions and methodology must be detached from his own particular interests. But what puts him behind that telescope in the first place is his own personal need for truth and this need grows and articulates itself more and more as questions emerge in the light of his discoveries. All of this could be applied by analogy to the researches carried out by a true philosopher. 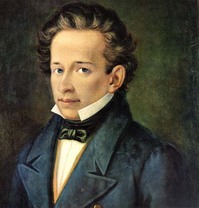 The second point is this: Leopardi's poem conveys with imaginative force the inexhaustibility of human desire and the questions through which it is expressed, or at least tends to be expressed insofar as man is willing to live in a way that is true to himself (several chapters of Giussani's book are devoted to the various ways in which man is capable of distracting himself or ignoring the dynamic of the religious sense, or anesthetizing himself against its felt urgency). Even more importantly, he indicates that the unlimited character of man's most fundamental questions points toward an Infinite Mystery, a mystery that man continually stands in front of with fascination and existential hunger but also with questions, because he is ultimately unable by his own power to unveil its secrets. The experience of life teaches man, if he is willing to pay attention to it, that what he is truly seeking, in every circumstance is the unfathomable mystery which alone corresponds to the depths of his soul. Offer to man anything less than the Infinite and you will frustrate him, whether he admits it or not. Yet at the same time man is not able to grasp the Infinite by his own power. Man's power is limited, and anything it attains it finitizes, reducing it to the measure of itself. The desire of man as a person, however, is unlimited, which means that man does not have the power to completely satisfy himself; anything that he makes is going to be less than the Infinite. Here we begin to see clearly why Giussani holds that the ultimate questions regarding the meaning, the value, and the purpose of life have a religious character; and how it is that these questions are asked by everyone within the ordinary, non-theoretical reasoning process which he terms "the religious sense." The human heart is, in fact, a great, burning question, a plea, an insatiable hunger, a fascination and a desire for the unfathomable mystery that underlies reality and that gives life its meaning and value. This mystery is something Other than any of the limited things that we can perceive or produce; indeed it is their fundamental Source. Therefore, the all-encompassing and limitless search that constitutes the human heart and shapes our approach to everything is a religious search. It is indeed, as we shall see in a moment, a search for "God." We seek an infinite fulfillment, an infinite coherence, an infinite interpenetration of unity between persons, an infinite wisdom and comprehension, an infinite love, an infinite perfection. But we do not have the capacity to achieve any of these things by our own power. Yet, in spite of this incapacity, in spite of the fact that the mystery of life--the mystery of happiness--seems always one step beyond us, our natural inclination is not one of despair, but rather one of dogged persistence and constant hope. Giussani insists that this hope and expectation is what most profoundly shapes the self; when I say the word "I," I express this center of hope and expectation of infinite perfection and happiness that is coextensive with myself, that "is" myself, my heart. And when I say the word "you," truly and with love, then I am acknowledging that same undying hope that shapes your self. The human person walks on the roads of life with his hands outstretched toward the mystery of existence, constantly pleading for the fulfillment he seeks--not in despair but with hope-- because the circumstances and events of life contain a promise, they whisper continually that happiness is possible. This is what gives the human spirit the strength to carry on even in the midst of the greatest difficulties. Let us note two further points. First of all: I cannot answer the ultimate questions about the meaning of my life, and yet every fiber of my being seeks that answer and expects it. There must be Another who does correspond to my heart, who can fill the need that I am. To deny the possibility of an answer is to uproot the very foundation of the human being and to render everything meaningless. As Macbeth says, it would be as if life is "a tale told by an idiot, full of sound and fury, signifying nothing." There must be an answer; and a human being cannot live without seeking that answer. Giussani says that a human being cannot live five minutes without affirming something, consciously or unconsciously, that makes those five minutes worthwhile. This is the basic structure of human reason at its root. "Just as an eye, upon opening, discovers shapes and colors, so human reason--by engaging the problems and interests of life--seeks and affirms some ultimate" value and significance which gives meaning to everything. But if we are honest, if we realize that we cannot fulfill ourselves, if we face the fact that the answer to the question of the meaning of life is not something we can discover among our possessions, or measure or dominate or make with our own hands, then we begin to recognize that our need for happiness points to Someone Else, to an Infinite Someone who alone can give us what we seek. Second: this longing of my heart, this seeking of the Infinite is not something I made up or chose for myself. It is not my idea or my project or my particular quirk. It corresponds to the way I am, to the way I "find myself independent of any of my personal preferences or decisions. It is at the root of me. It is at the root of every person. It is in fact given to me, and to every person--this desire for the Mystery that is at the origin of everything that I am and do. In the depths of my own self there is this hidden, insatiable hunger and thirst, this "heart that says of You, 'seek His face!'" (Psalm 27:8), this need for an Other that suggests His presence at the origin of my being. 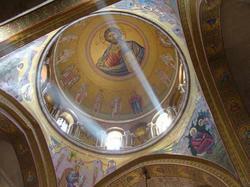 He gives me my being; He is "nearer to me than I am to myself as St. Augustine says. And He has made me for Himself, He has placed within each of us a desire that goes through all the world in search of signs of His presence. In the depths of our being, we are not alone. We are made by Another and for Another. "You have made us for Yourself, O Lord, and our hearts are restless until they rest in You," says St. Augustine. Thus, Giussani teaches that the Mystery of God is the only reality that corresponds to the "heart" of man: to the fundamental questions of human reason and the fundamental desire of the human freedom. It is this Infinite Mystery that the human person seeks in every circumstance of life. In our work, our loves, our friendships, our leisure time, our eating and drinking, our living and dying--in all of these activities we seek the face of the unfathomable Mystery that we refer to with poor words like "happiness" or "fulfillment" or "perfection." St. Thomas Aquinas says that God is happiness by His Essence, and we are called to participate in His happiness by being united to Him who is Infinite Goodness. We are made for happiness. By our very nature we seek happiness. To be religious, then, is to recognize that God alone can make us happy. It is to recognize the mysterious existential reflection of God's infinite truth, goodness, and beauty that radiates from every creature, that lights up the circumstances of our lives, and calls out to us through all the opportunities that life presents to us. In this sketch of Giussani's understanding of what he calls "the religious sense," we can see the profound reflections that underlie his great apostolate: his effort to teach his students that religion cannot be relegated to the fringes of life. Giussani insisted to his students that religion was not to be simply delineated as one aspect of life: a comfort for our sentiments, a list of ethical rules, a foundation for the stability of human social life (even though it entails such things as various consequences that follow from what it is in itself). Rather, the realm of the religious is coextensive with our happiness. The proper position of the human being is to live each moment asking for God to give him the happiness he seeks but cannot attain by his own power. Asking for true happiness--this is the true position of man in front of everything. Giussani often points out that "structurally" (that is, by nature), man is a "beggar" in front of the mystery of Being. 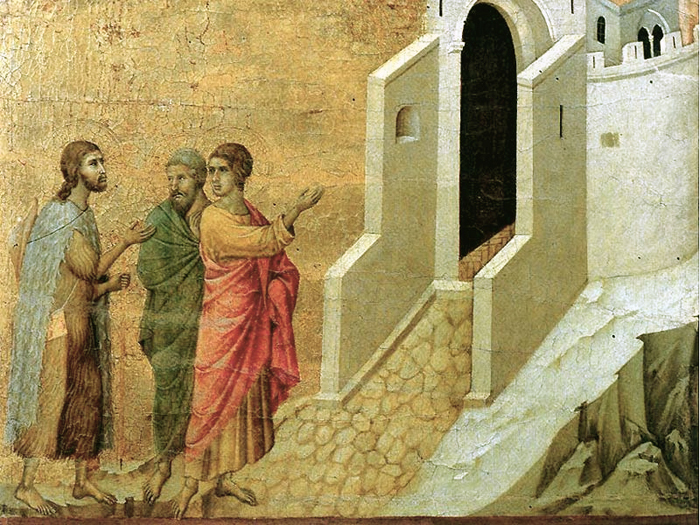 This brings us to the final chapters of The Religious Sense, in which Giussani analyses the dramatic character of this truth about man, both in terms of the very nature of this position of "being a beggar" and in terms of how this truth has played itself out in the great drama of human history. We could all too easily allow ourselves to be lulled to sleep by all of this lovely language about desiring the Infinite Mystery, and end up missing the point. 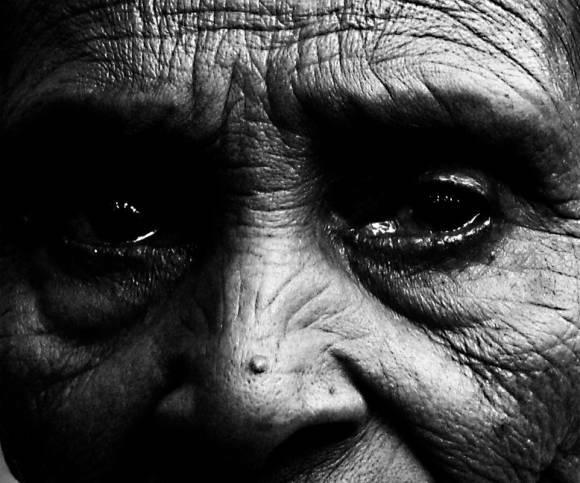 The image of the beggar ought not to be romanticized in our imaginations. Generally people don't like to be beggars, and they don't have much respect for beggars. We should be able to attain what we need by our own efforts; is this not a basic aspect of man's sense of his own dignity? And yet the very thing we need most is something that we do not have the power to attain, something we must beg for. This is the true human position, and yet it is not as easy to swallow as it may at first appear. We are beggars in front of our own destiny because the Infinite One for whom our hearts have been made is always beyond the things of this world that point toward Him but do not allow us to extract His fullness from them by our own power. This fact causes a great tension in the experience of the human person--a "vertigo," a dizziness, Giussani calls it --and there results the inevitable temptation to shrink the scope of our destiny, to attempt to be satisfied with something within our power, something we are capable of controlling and manipulating. This, says Giussani, is the essence of idolatry. Instead of allowing ourselves to be "aimed" by the beauty of things toward a position of poverty and begging in front of the Beauty who is "ever beyond" them, the Mystery of Infinite Splendor who sustains them all--who holds them in the palm of his hand--we try instead to grasp these finite things and make them the answer to our need for the Infinite. This great tension at the heart of man's religious sense-- and the historical tragedy of man's failure to live truly according the historical tragedy of man's failure to live truly according to the religious sense--generates within the heart of man the longing for salvation. Corresponding to this longing, Giussani says, is the recognition of the possibility of revelation. Might not the Infinite Mystery make Himself manifest in history, create a way within history for me to reach Him? Might not the Infinite Mystery who constitutes my happiness approach me, condescend to my weakness, guide my steps toward Him? This possibility--the possibility of Divine Revelation--is profoundly "congenial" to the human person, because man feels profoundly his need for "help" in achieving his mysterious destiny. The Religious Sense concludes on this note: the possibility of revelation. Here the ground is laid for the second book in what might be called Giussani's catechesis of Christian anthropology: The Origin of the Christian Claim. In this book, Giussani will propose that Christ is the revelation of God in history, the Mystery drawn close to man's life--walking alongside the human person. Christ is the great Divine help to the human person on the path to true happiness. This an excerpt of the essay, Man in the Presence of Mystery. The author, John Janaro, professor of theology at Christendom College, delivered this paper in 1998. What is Luigi Giussani's Contribution To Catholic Theology? The preceding account [see who is Luigi Giussani] might lead one to believe that the significance of Luigi Giussani is primarily that of a teacher and spiritual leader. It would be an unfortunate mistake, however, to view him in this way if it led one to dismiss Giussani's vast literary output, and its contribution to the intellectual life of the Church and our times. In this essay, we want to give a brief outline of the central thesis of the book by Giussani that has recently been published in a scholarly edition in English, entitled The Religious Sense. Here, we hope, it will become clear that Giussani's thought presents a profound theological analysis of human "psychology" (in the classical sense of this term); indeed, it represents a tremendous resource toward the development of a fully adequate Catholic theological anthropology. Giussani proposes what he calls "the religious sense" as the foundation of the human person's awareness of himself and his concrete engagement of life. The term "religious sense" does not imply that Giussani thinks that man's need for religion is part of the organic structure of his bodily senses, nor does he mean that religion is to be defined as a mere emotional sensibility or a vague kind of feeling. Rather, Giussani uses the term "sense" here in the same way that we refer to "common sense" or the way that John Henry Newman sought to identify what he called the "illative sense." "Sense" refers to a dynamic spiritual process within man; an approach to reality in which man's intelligence is fully engaged, but not according to those categories of formal analysis that we call "scientific." Giussani's understanding of the "religious sense" in man has a certain kinship to Jacques Maritain's view that man can come to a "pre-philosophical" or "pre-scientific" awareness of the existence of God, in that both positions insist that reason is profoundly involved in the approach to God for every human being--not just for philosophers. What is distinctive about Giussani's approach, however, is his effort to present a descriptive analysis of the very core of reason, the wellspring from which the human person, through action, enters into relationship with reality. Needless to say, "action" in the Giussanian sense is not simply to be identified with an external "activism," but involves also and primarily what Maritain would call the supremely vital act by which man seeks to behold and embrace truth, goodness, and beauty--those interrelated transcendental perfections inherent in all things which Giussani refers to by a disarmingly simple term: meaning. Giussani proposes that we observe ourselves "in action," and investigate seriously the fundamental dispositions and expectations that shape the way we approach every circumstance in life. In so doing, we will discover that the "motor" that generates our activity and places us in front of things with a real interest in them is something within ourselves that is both reasonable and mysterious. It is something so clear and obvious that a child can name it, and yet it is something so mysterious that no one can really define what it is: it is the search for happiness. The human heart--in the biblical sense, as the center of the person, the foundation of intelligence and freedom, and not merely the seat of infrarational emotions and sentiments--seeks happiness in all of its actions. Here, of course, Giussani is saying the same thing as St. Thomas Aquinas. Giussani opens up new vistas on this classical position, however, by engaging in an existentially attentive analysis of the characteristics of this "search." Giussani emphasizes the dramatic, arduous, and mysterious character of the need for happiness as man actually experiences it. He says that if we really analyze our desires and expectations, even in the most ordinary and mundane circumstances, what we will find is not some kind of desire for happiness that we can easily obtain, package, and possess through our activity. Rather we will see that genuine human action aims at "happiness" by being the enacted expression of certain fundamental, mysterious, and seemingly open-ended questions. The heart, the self, when acting--when the person is working, playing, eating, drinking, rising in the morning, or dying--is full of the desire for something and the search for something that it does not possess, that it cannot give to itself, and that it does not even fully understand, although the heart is aware that this Object is there, and its attainment is a real possibility. 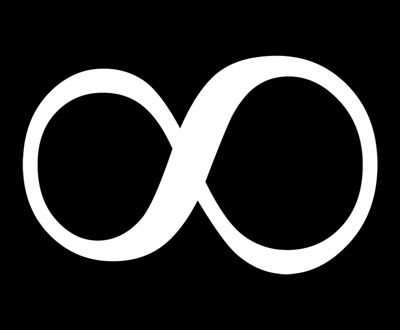 The religious factor represents the nature of our "I" in as much as it expresses itself in certain questions: "What is the ultimate meaning of existence?" or "Why is there pain and death, and why, in the end, is life worth living?" Or, from another point of view: "What does reality consist of and what is it made for?" Thus, the religious sense lies within the reality of our self at the level of these questions. This means that, according to Giussani, man becomes authentically religious to the extent that he develops and articulates in the face of the circumstances of life the basic natural complex of questions or "needs" that are identified in the first chapter of the book as constitutive of the human heart: the need for truth, justice, goodness, happiness, beauty. This complex of "needs" which constitutes the human heart by nature, will become more and more explicit and urgent as the person lives life and pursues the things that attract him, if he is truly honest with himself. Most English language readers know little about the person and work of Luigi Giussani. His vast publications have been virtually unknown in the philosophical or theological academy here in North America. The general public who are well read on religious topics have perhaps heard his name and associate it with a large Catholic lay movement known as "CL." 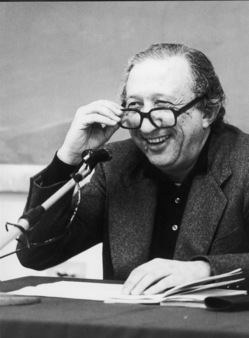 It would be useful, therefore, to begin with a general introduction to Luigi Giussani: the man, the priest, the professor, and the vibrant leader of a great apostolic movement in the Catholic Church today. 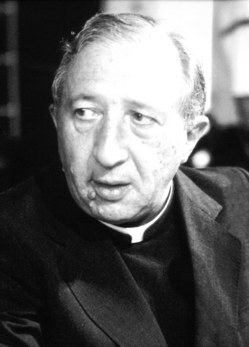 Luigi Giussani has devoted his life and priestly ministry to the evangelization and catechesis of young people for nearly 50 years. 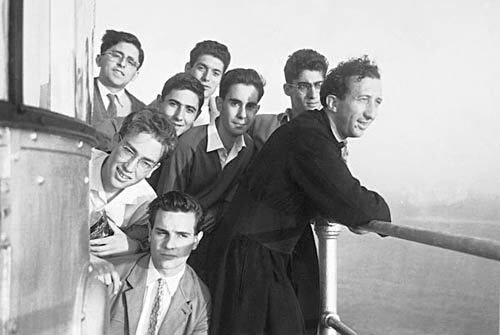 In the early days of his priesthood, while serving as seminary professor in the diocese of Milan in 1952, Giussani encountered some Italian High School students while on a train trip. At this time, many in the Church took it for granted that the Catholic faith was still firmly rooted in the mentality of the Italian people, and that its transmission to the next generation was no great cause for concern. Based on his brief conversation with a group of teenagers, however, Giussani intuited a profound problem which would soon manifest itself to the world in the intellectual and cultural revolutions of the 1960s. What he saw was this: not only did these young people have a poor grasp of the basic truths of the Catholic faith; they were unable to conceive the relationship between this Faith--which they still openly professed at that time--and their way of looking at the world, their way of making judgments about circumstances and events, their way of evaluating (i.e., assessing the real value) of the situations they had to deal with in life. The student might profess to be Catholic, recite the creed, and perhaps even know parts of his Catechism (or even more, if he was bright). But when it came to making judgments and decisions about things that he viewed as truly important to his life, his ideals and hopes for happiness were shaped by a secularized mentality; a mentality in which Christ and His Church were largely absent, or at best relegated to a dusty corner. Giussani saw that many of the young people in Italy in the early 1950s who would have described themselves as "Catholic" did not in fact seek to judge the realities of the world and the significance of their own lives according to a Christian mentality; that is, the "transformed and renewed mind" that St. Paul says is the basis for viewing the world in union with Christ and according to the wisdom of God's plan (see Rom. 12:2).2 Rather, the mentality of these "young Catholics" was being shaped by all the contradictory emphases of the so-called "modern" era: the absolute sufficiency of "scientific" human reason on the one hand, and the exaltation of subjectivism on the other; the emphasis on a deontological ethics of duty divorced from the good of the person on the one hand, and the enthrallment with the spontaneity of mere instinct and emotional individualism on the other. 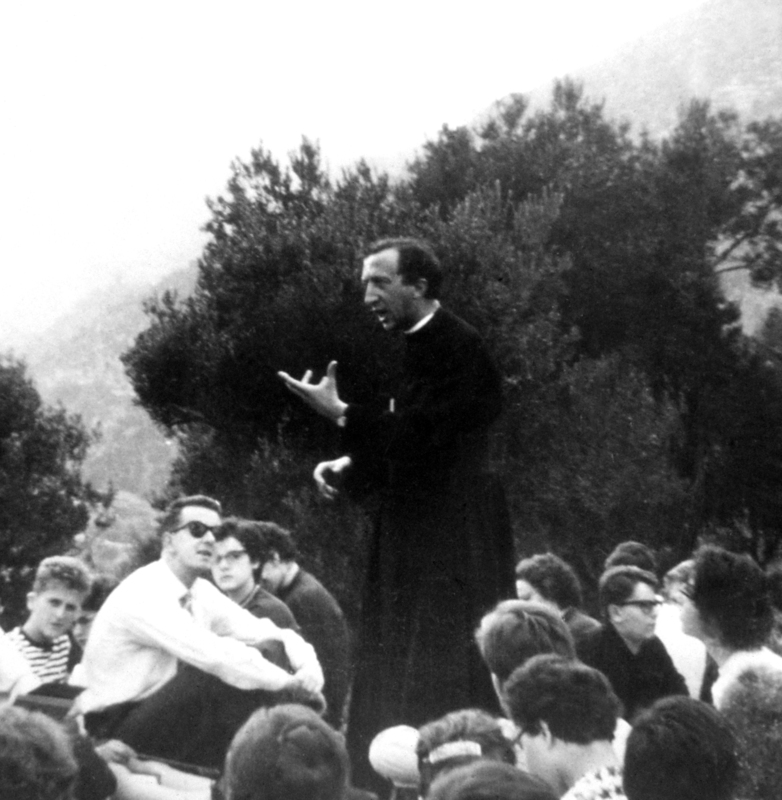 Giussani perceived the need for young people to receive an integral catechesis that would help them to realize--both existentially and intellectually--that Christ is the center of all of life, and that because of this their experience of life in union with Christ in His Church should shape their entire outlook and invest all of their daily activity with an evangelical energy. Giussani therefore requested and received from his bishop permission to leave seminary teaching and inaugurate an educational apostolate for youth: first at the Berchet High School in Milan, and then for many years as Professor of religion at the Catholic University of Milan. Giussani's teaching method was to challenge the oppressive secularism that dominated the mentality of his students by inspiring them to conduct a rigorous examination of themselves, the fundamental experiences that characterize man's life and aspirations, and the radical incapacity of modern secular culture to do justice to the deep mystery of the human heart. This examination--carried out within an existentially vital ecclesial context in which Christ is encountered through a friendship with those who follow Him--leads to a rediscovery of man's "religious sense," that is, the fundamentally religious character of the questions and desires that are inscribed on his heart. Man has been made for God, and the only way that he can realize the truth of himself (and thus be happy) is by recognizing God and adhering to Him wholeheartedly. Giussani then sought to lead his students to understand and appreciate in a deeper way the fact that God has made this adherence to Himself concretely possible, attractive, and beautiful by becoming man and perpetuating His incarnate presence in the world through His Church. This is the charge I leave with you today." The Pope made it clear that it was his desire that CL become an instrument of the new evangelization not only in Italy, but throughout the world. Following this desire of the Pope, numerous missionary initiatives were taken, and a more profound and stable presence of CL has since been established in Africa, the Americas, and other parts of Europe. Today, CL is one of the largest "Ecclesial Movements" in the Church, counting among its 100,000 members around the world not only university students, but also bishops, priests, and lay people engaged in a variety of professions and cultural activities. 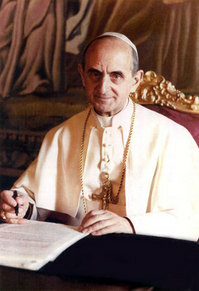 Q: Paul VI died in August of 1978, and then came pope Albino Luciani. 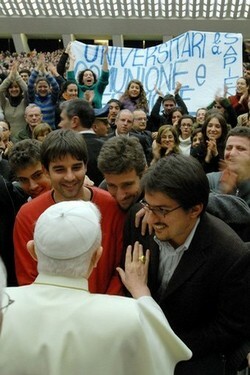 Then there was the arrival of the "pope who came from far away." Do you remember the hours during which the death of Paul VI was announced? A: I remember those moments. [...] The Church had been plunged into such a condition that the loss of that guide seemed extremely serious to me. 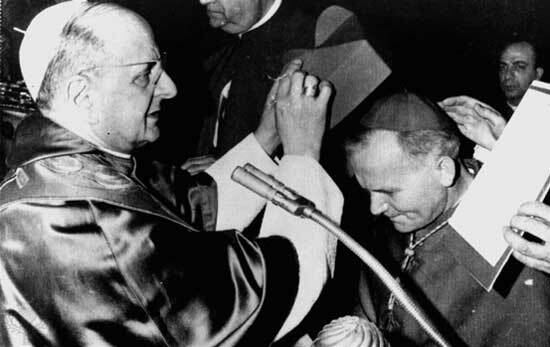 It had been Paul VI who, in all good faith, had looked favorably upon a certain evolution of the Church. But his love for the Church was so genuine that, at a certain point, he had to realize the disaster posed by the dynamic of things - even though these things had been approved [by him]. It was then that he opened himself completely to the experience of Communion and Liberation. So the death of Pope Montini was like the disappearance of a possible guide. He had seen and made confirmation; he knew the inner workings of that process of destruction. Now, he intended to go against the tide: and he was the best choice and the one most able to do it. Q: When did this new intention of Paul VI come about? A: It dates from his famous 'Credo', June 30, 1968, which began the shift. Humanae Vitae and the outrageous attacks to which he was subjected confirmed him in his judgment. The culmination of his disillusionment came with the referendum on divorce in Italy, in 1974, when the very leaders of Catholic Action and FUCI [Italian Federation of Catholic University Students] whom he had loved and protected turned their backs on him. It is probably in this climate that Paul VI realized the capacity for Christian renewal and human responsiveness implicit in Communion and Liberation. Beginning in 1975, the signs of his new and strong sympathies increased. For Palm Sunday of that year he called to Rome all the young people of all the Catholic groups. [...] He called everyone. He found himself with only the 17,000 of CL. Q: And then how did it go? Q: Was this something unexpected? A: Totally unexpected. But these were not improvised words of encouragement. [Years later] I received sure proof of this from Cardinal Benelli, the closest hierarchical collaborator of Paul VI. He told me in person that each time he visited Pope Montini during the last years of his pontificate, the pope asked him about Communion and Liberation. And he told him: 'Your Eminence, that is the way.' Benelli made this comment to me: 'If Paul VI had lived another year, I assure you that all your ecclesiastical problems would already have been resolved.' Paul VI would have had the courage to say so, and to do it. [...] One noteworthy confirmation of the change in Paul VI was evident in his dismissal from the supervision of Catholic Action of his close friend Bishop Franco Costa, who had determined the course of Catholic associations over the previous decades. Q: Did Paul VI's old collaborator also mean by those words to express a specific judgment about the Church? A: [His words] signified affirmation of the soundness of CL's inspiration, of its validity for the Church. And this was in view of the profile of all Catholic associations during those years, which in their leadership bodies voted and directed voting [in the referendum on divorce] not in accordance with the pope's wishes. The approach of 'religious choice' had led Catholic associations to take refuge in all sorts of leftist politics: and there they pushed for divorce, among other things, without any qualms. Q: On September 8, 1977, Paul VI spoke to his friend Jean Guitton about 'a non-Catholic type of thought' and the resistance of a 'small flock.' For years you have wanted to have these words repeated so that they could be known to everyone. Why? A: Because that is what is happening. Please read me those words again. Q: Here they are: There is a great disturbance at this moment in the world and in the Church, and what is in question is the faith. It happens now that I find myself repeating the obscure saying of Jesus in the Gospel of Saint Luke: 'When the Son of man returns, will he find faith on the earth?' It happens that books are published in which important points of the faith are undermined, that the bishops are silent, that these books are not found to be strange. [...] What strikes me, when I consider the Catholic world, is that a non-Catholic type of thought seems to predominate sometimes within Catholicism, and this non-Catholic thought might become the stronger one within Catholicism in the future. But it will never represent the thought of the Church. A small flock must remain, however small it may be. A: These words are the synthesis of the pope's reflection on the situation and destiny of the Church. This is where his openness to CL comes in. Q: Is there some strong doctrinal point that you feel to be central to the magisterium of Paul VI? A: The affirmation, completely against the tide, of the Church as an 'ethnic identity sui generis.' On July 23, 1975, it was the heart of his preaching on the identity of the Church at the Wednesday general audiences. We were almost the only ones to take up this idea. Paul VI sensed the destruction of the Catholic presence in society. This presence was hiding itself. Or rather, instead of a Catholic presence, there was an increasingly tired and abstract closing in upon oneself in the offices of the associations, while the concrete lives of the young people themselves lined up to follow the current ideas. Or, instead of the Catholic presence, there was intellectual interpretation in the manner of the Democratic League, of the university students of the FUCI, of the Catholic Alumni. These theorized a conception of the faith that was absolutely elitist, and suicidal for mission. In the third place, the position of the Church came to be identified with political and diplomatic cunning. In any case, I believe that the news about the situation of the Catholic universities, institutes, and schools of theology was decisive in showing clearly to Paul VI the abyss toward which the Church's leadership was dragging everybody else. Q: Some observers judge the pontificate of Paul VI as a failure. A: The papacy of Paul VI was one of the greatest papacies! He had demonstrated during the first part of his life an extreme sensitivity for all the problems of the anguished condition of modern man and society. And he found a response! He gave this response during his last ten years. The papacy of Paul VI is a failure only to someone who has not thoroughly examined it. Q: He is the pope who concluded Vatican Council II. A: Of course. A history should be compiled of all the courageous, and unpopular, contributions he made to stop false democracy, the dogmatic equivocation that many Council Fathers tried to pass off under a democratic pretext. Q: What was the method of Paul VI in the face of the dissolution of the Catholic people, the disappearance of the multitudes? A: It was that of the 'Credo.' This is as much as to say the authentic proclamation of dogma, sine glossa, with clarity, and of the presence of the Church in the world, as in his speech on the Christian people on Wednesday, July 23, 1975. Q: Paul VI was targeted for his rediscovery of the devil as an actor in human affairs. He was even left alone by the bishops. A: Pope Montini began to realize the disaster into which the Church was sliding when he noticed the formalism with which the supernatural was considered and represented. For this reason, his speech on the presence of the devil in the world was a challenge - and such a courageous one that it could not have been foreseen in light of his temperament - to the world and to all theology, including Catholic theology, that was coming to agreement with the world. A: During that month of August, 1978, with one pope dead and another dying, what were you hoping for the Church? A: A man who would continue an intuitive understanding of the tragedy in which the Church was submerged. And of the only remedy, which is that of returning to faith in the supernatural as the determining factor in the Church's life, to the authenticity of tradition. In short, I was hoping for a pope who would continue on the way that Paul VI, during his last years, had vigorously pointed out. [...] In the end, John Paul II emerged: a pope who is the incarnation of what the last ten years of Paul VI had intuited and expressed. Paul A. Zalonski is from New Haven, CT. He is a member of the Fraternity of Communion and Liberation, a Catholic ecclesial movement and an Oblate of Saint Benedict. Contact Paul at paulzalonski[at]yahoo.com. This page is a archive of entries in the Luigi Giussani category from October 2008. Luigi Giussani: November 2008 is the next archive.